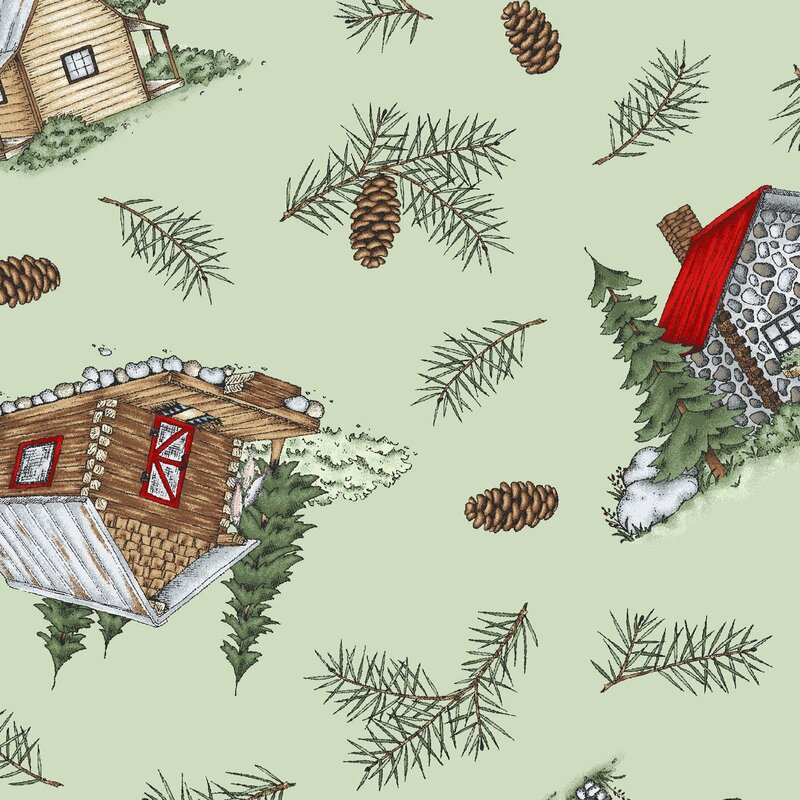 Cozy Cabin fabrics by Kris Lammers for Maywood Studio. 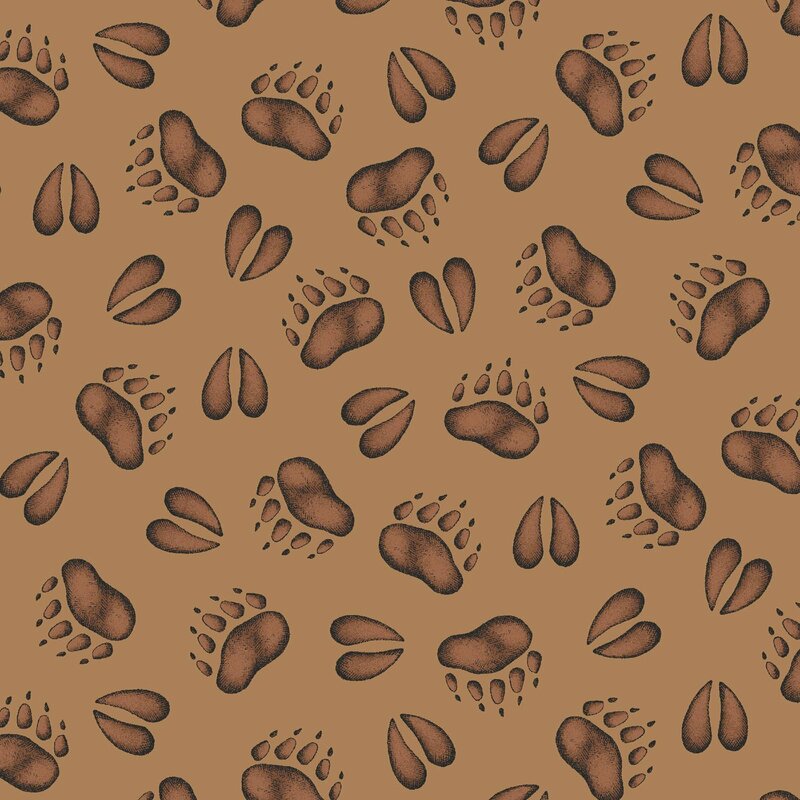 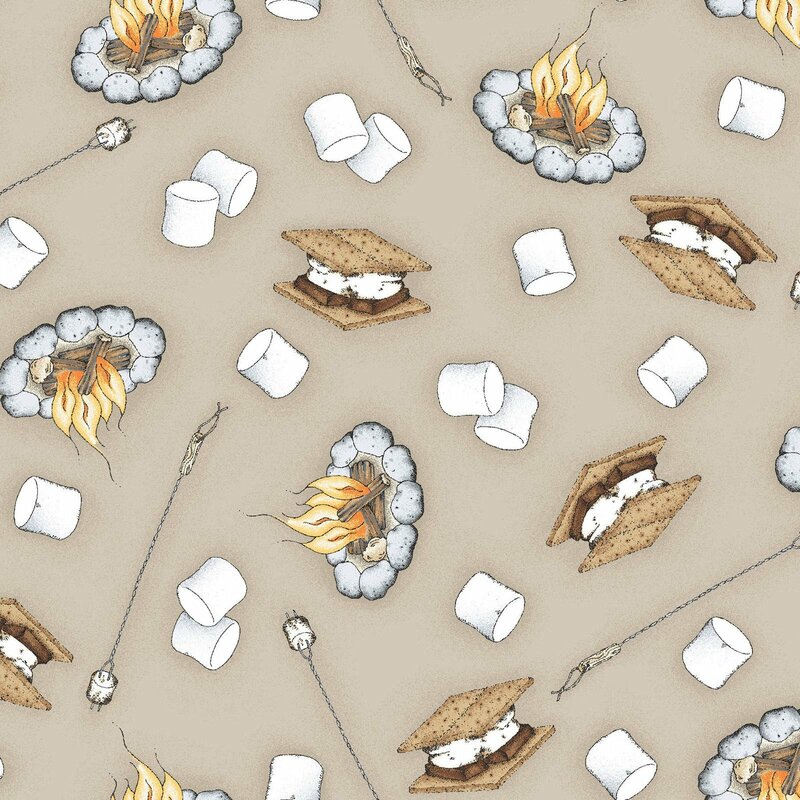 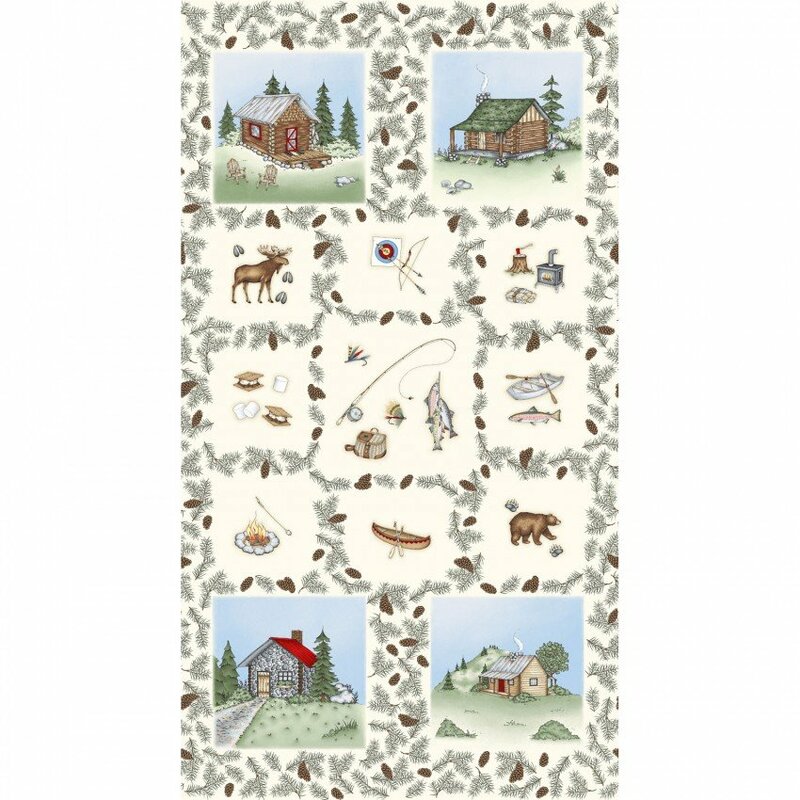 Collection includes S'mores print, cabin and pine cones, panel, paw prints. 100% cotton fabrics.